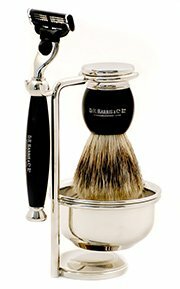 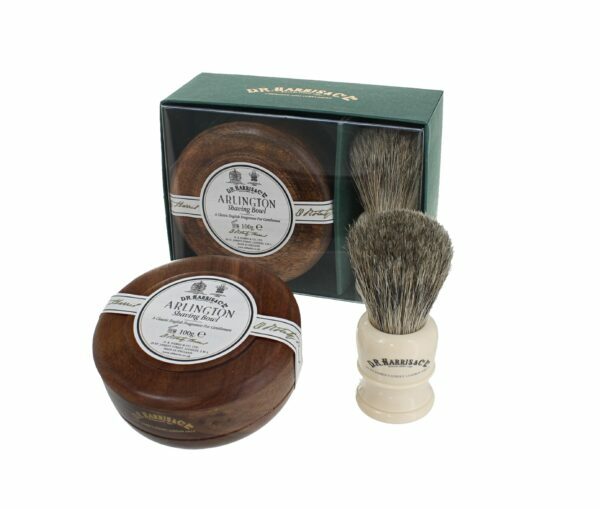 This luxurious wet-shaving gift contains a traditional Shaving Bowl in sustainably sourced mahogany effect sheesham wood paired with a high quality shaving brush which has been designed and made for D. R. Harris exclusively by one of the top British brush makers. 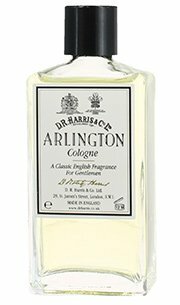 The solid Arlington shaving soap is of the finest quality and has been triple-milled to increase the richness and luxuriousness of the lather. 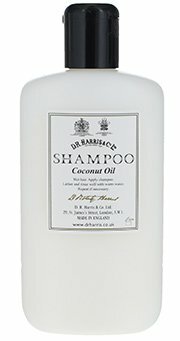 Incredibly economical, each soap will last for several months.